Smartwatch shipments may have dropped 51.6 percent this year, but it hasn’t stopped big companies jumping on the wearables bandwagon. 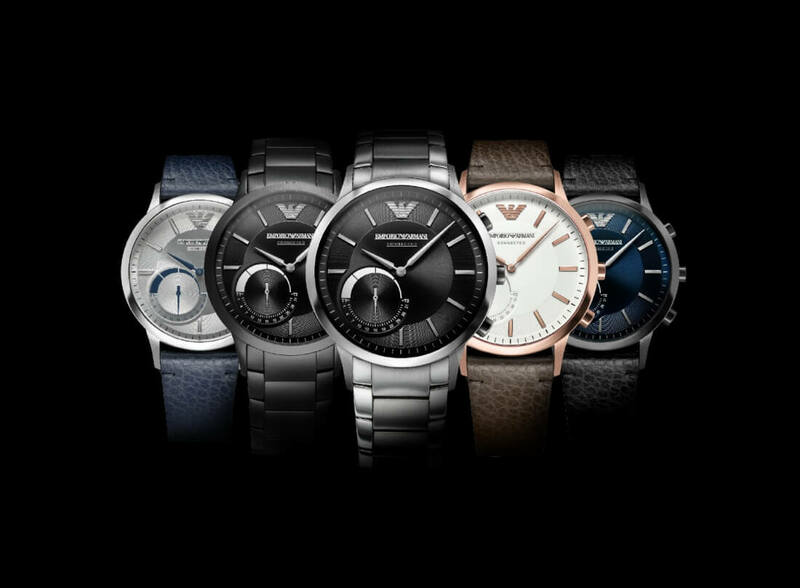 The latest luxury brand to expand into connected wristwatches is Emporio Armani, best known for its range of high-end clothing. Created in partnership with Fossil, the Emporio Armani Connected Watch is a hybrid device rather than a full-on smartwatch such as the Samsung Gear S3 or Apple Watch. It combines the analog display of a classic timepiece with smartphone connectivity features. The EA Watch links with phones using Bluetooth and the companion iOS/Android app. Like other similar smartwatches, it vibrates when the paired phone receives a notification, and it can be used to track and monitor sleep and activity. The wearable can also control music playback, remotely activate a paired smartphone’s camera, be used as an alarm, and help find a lost handset. While those functions don’t make Armani’s device unique among hybrid smartwatches, it does boast some other compelling features. The sub-dial can be customized to show any time zone – something Armani customers said they wanted in a device – and its power comes from a coin cell battery that lasts around six months, so no recharging required. The watch is available in rose-gold tone, black, gunmetal, and stainless steel with either a leather strap or three-piece link. Prices range from $250 to $400, which may seem a bit pricey, but it's definitely better than Breitling’s $8900 Exospace B55. Android Headlines notes that Armani will be releasing a full-on smartwatch with a digital display next year.